Having a car in Ontario is a necessity. You'll often have to cover vast areas every day to drive to work, picking up the kids from school, or even just for doing the groceries. It is the most populated province in Canada with 13 million people, and almost half of them have a car. However, it can be quite hard to secure financing in Ontario. With CarLoan411 you can easily apply for a car loan even if you have bad credit. After getting approved, you will quickly be able to sit behind the wheel of a new car. Each person who buys or leases a new or used vehicle from a registered person or dealer in Ontario has rights under the Motor Vehicle Dealers Act. 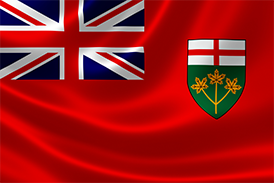 The Ontario Motor Vehicle Industry Council (OMVIC) enforces the act in the province of Ontario. Vehicle dealers must be registered with OMVIC to be able to sell. Under Ontario law, for every motor vehicle contract, there is a no cooling-off period. It is recommended that you are sure of the details before you sign; because the contract will be binding. Before buying a vehicle, the dealer must provide you with precise information about the vehicle’s history and key features. If there’s any misleading information, you will have 90-days to cancel the agreement. OMVIC requires all dealers who advertise a vehicle to provide an inclusive price. The only additional fees that you will need to pay are the taxes. Information such as if the vehicle was used as a police cruiser, a daily rental, taxi, limousine, or to provide emergency services, should also be included in any advertisements. Manufacturer ads are not obligated to show an all-inclusive price. If during the purchase of a new vehicle, you find a manufacturing defect, you can contact a free arbitration program called the Canadian Motor Vehicle Arbitration Plan (CAMVAP). The dealer must inform you if the vehicle you are buying qualifies for this program. CAMVAP will simplify the disputes about manufacturing defects. OMVIC requires all dealers who advertise a vehicle to provide an inclusive price. The only additional fees you pay are the taxes. Information such as if the vehicle was used as a police cruiser, a daily rental, taxi, limousine, or to provide emergency services, should also be included in the advertisements. Manufacturer ads are not obligated to show all-inclusive price.